Selfless six-year-old's simple act of kindness: "My heart was exploding"
When the problems of the world seem so many, it is easy to feel powerless to make any real change. That’s where the magic simplicity of children really can shine a light forward. Children aren’t weighed down by the same irrational fear of failure that comes with adulthood so instead of dismissing their simple solutions, perhaps we need to listen up. That’s exactly what US mum Melissa Work did when her six-year-old son Blake, after finding out there are many children in the world who go without, wanted to give away his toys. 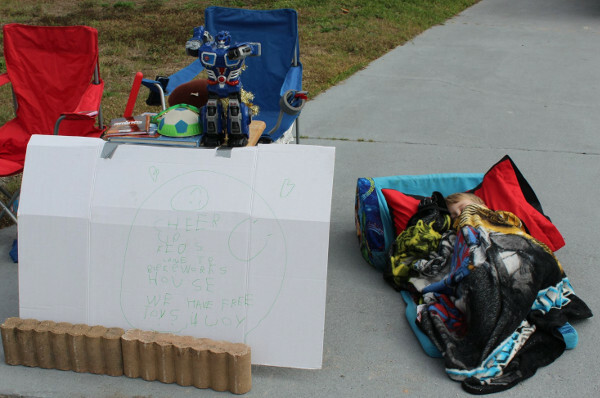 Blake Work not only selected a pile of his favourite toys and books, he also set up a stand out the front of his house and sat for more than six hours until every last one had been taken. If that wasn’t sweet enough, Blake also hand wrote a sign that read: “Cheer up kids. Come to Blake Work’s house. We have free toys for you”. His mum Melissa took to Facebook to share the proud moment. “This is who he is. This is his heart. He taught me so much today. I just sat and smiled at him all day. My heart was exploding,” Melissa wrote. In a world full of uncertainty, children like Blake serve to remind us the amazing impact just a simple act of kindness can have. Blake may have been one six-year-old with one table of toys in one street, but his generosity had enormous reach. Various media outlets have since shared his story and it continues to build momentum. Melissa told Babyology her son doesn’t quite understand the huge effect his actions have had. “He thinks it’s ‘really cool’,” Melissa says. “I tried explaining it to him, and he goes, ‘Wow! A hundred people know?’ That is a huge number to him! For Melissa, the response has been profound. “I can only describe my feelings with the word proud and through my tears, I just keep smiling. I haven’t stopped,” she says. “His goal in life is to make people smile. He will do anything to make that happen. “It’s amazing to know that he is catching what we try to teach him – kindness. “I believe kindness can change the world. I believe our baby can change the world. 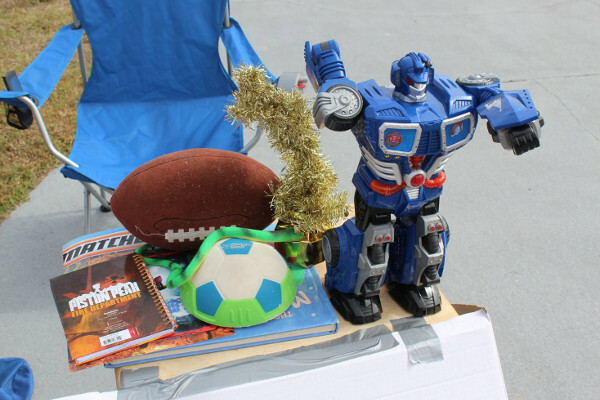 Melissa says her son’s simple toy stand is already having a ripple effect as others are inspired to do the same. “Parenting is the most bittersweet, scary, amazing journey, ever!! You just hope and pray that they use the tools you teach them in life,” she says. As many children headed to school this week, some for the first time, it’s important for us parents to remember to teach them what no textbook can – kindness.